The Internal Revenue Service (IRS) and the Federal Trade Commission (FTC) have warned consumers of a sophisticated phone scam targeting taxpayers, including recent immigrants, throughout the country. Victims are told they owe money to the IRS and it must be paid promptly through a pre-loaded debit card or wire transfer. If the victim refuses to cooperate, they are threatened with arrest, deportation or suspension of a business or driver’s license. In many cases, the caller becomes hostile and insulting. According to the FTC, these scams have been ongoing since January 2010, and the operation took in more than $5 million from victims. The calls appear to be originating from India, and many are targeting Indian residents in the United States. Over the last two years, consumers have filed more than 4,000 complaints with the FTC and state attorney general about fraudulent debt collection calls. According to IRS Acting Commissioner Werfel, this scam has hit taxpayers in nearly every state in the country. Commissioner Werfel stated, “We want to educate taxpayers so they can help protect themselves. If someone unexpectedly calls claiming to be from the IRS and threatens police arrest, deportation or license revocation if you don’t pay immediately, that is a sign that it really isn’t the IRS calling.” Commissioner Werfel noted that the first IRS contact with taxpayers on a tax issue is likely to occur via mail, and not by telephone.  Scammers use fake names and IRS badge numbers. They generally use common names and surnames to identify themselves.  Scammers may be able to recite the last four digits of a victim’s Social Security Number.  Scammers spoof the IRS toll-free number on caller ID to make it appear as if the IRS calling.  Scammers sometimes send bogus IRS emails to some victims to support their bogus calls.  Victims hear background noise of other calls being conducted to mimic a call site.  After threatening victims with jail time or driver’s license revocation, scammers hang up and others soon call back pretending to be from the local police or Division of Motor Vehicle Office, and the caller ID supports their claim.  If you owe taxes or you think you might owe taxes, call the IRS at 1.800.829.1040. The IRS employees can help you with a payment issue.  If you do not owe taxes or have no reason to believe you owe any taxes, call and report the incident to the Treasury Inspector General for Tax Administration at 1.800.366.4484.  If you have been targeted by this scam, you should also contact the Federal Trade Commission and use the “FTC Complaint Assistant” at www.FTC.gov. Please add "IRS Telephone Scam" to the comments of your complaint.  Taxpayers should be aware that there are other unrelated scams (such as a lottery sweepstakes) and solicitations (such as debt relief) that fraudulently claim to be from the IRS.  The IRS encourages taxpayers to be vigilant against phone and email scams that use the IRS as a lure. 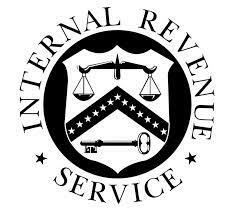  The IRS does not initiate contact with taxpayers by email to request personal or financial information. This includes any type of electronic communication, such as text messages and social media channels.  The IRS also does not ask for PINs, passwords or similar confidential access information for credit card, bank or other financial accounts.  Recipients should not open any attachments or click on any links contained in the message. Instead, forward the e-mail to phishing@irs.gov. For more information on how to report phishing scams involving the IRS, visit the IRS website, www.IRS.gov. 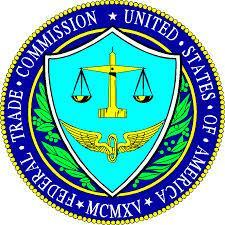 To file a complaint to the FTC, call 1-877-FTC-HELP (1-877-382-4357).